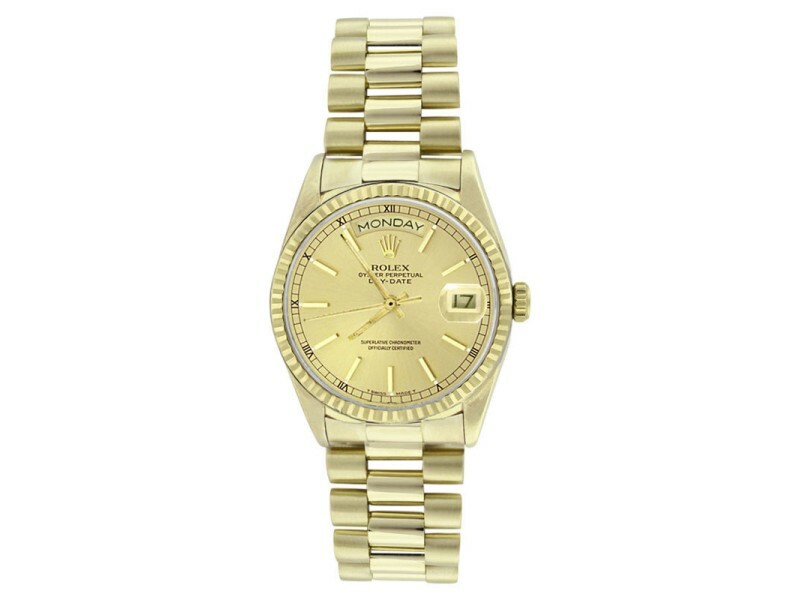 This is an Mint condition Rolex Solid 18K Gold President Model 18038 with a Solid 18K Gold President Bracelet. 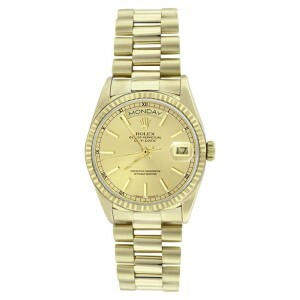 This watch has an elegant Rolex Champagne Stick Dial, and a Rolex 18K Yellow Gold Fluted Bezel. This watch just had a full service, polish, and overhaul. This timepiece is in perfect condition with some stretch in the bracelet. The watch comes with a Rolex box, booklets, hang tags.